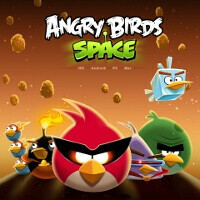 Angry Birds Space - it’s now official, the birds have flown into space. They really have - Rovio has unveiled its latest update to the Angry Birds franchise from space where there’s no gravitation and it’s got NASA astronaut Don Petit catapulting birds at pigs in the International Space Station, orbiting 242 miles above Earth. Angry Birds Space are what seems like a huge overhaul of the gaming experience. You can see parts of the game in the video below and the whole layout of the scenes is much more flexibly, more dynamic. There are various gravitational fields that will change the trajectory of catapulted birds. But you’d still have your well known bird weapons and pigs, so you can tell it’s still Angry Birds. The game arrives on iOS, Android, PC, and Mac on March 22nd, and it will also simultaneously launch in animation and merchandise. The whole announcement was presented on a Samsung Galaxy Note, a “galactic” smartphone to match the birds’ space adventures. Check out the video from space below and let us know how you like it. I read somewhere you have to pay hundreds of millions of dollars, and train for around a year to ride a space craft. So how much did it cost to advertise Angry Birds this way? I'm with you on the Galaxy Note thing :p I don't care whatever they say, I want it. Me three, I'm going to start calling Verizon every day until they agree to carry it or iDie; whichever comes first. @itiswhatitis My bad, not hundreds of millions but $15-$30M. The hundreds of thousands you're referring to is just for sub-orbital flights. Not really outer space. 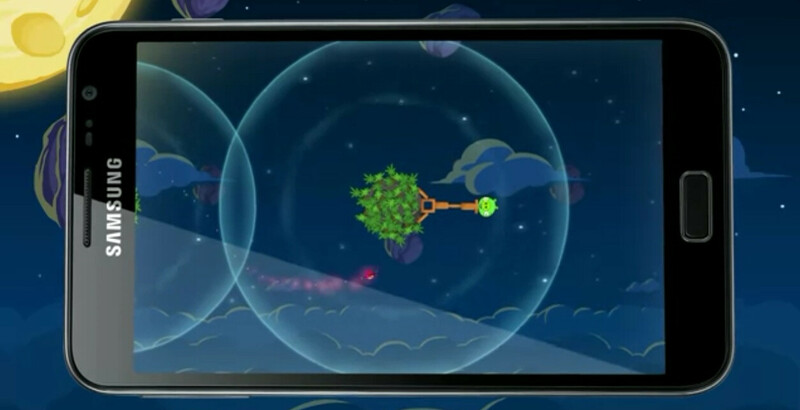 So...you have to be a rocket scientist to play Angry Birds Space? Lol. I'm sure that it'll be easy to figure out once it's released, but until then I'll just stick with my other Angry Birds Games. thousand miles away from earth and you're telling us to go play 'Angry Birds Space'. Seriously ? nope, only hundred miles away.. :P but still better than staying on the earth and telling us to go to war with other human beings.. i rather have an astronaut hero and play Angry Bird Space.. I'm Batman! Bazzinga! This should be a good time killer on my new galaxy note :) Should be getting it soon , Thanks again PA !! O and sorry remixfa , if I didn't win it I hoped you would . I'll tell you what, Angry Birds is that little app that just won't go away. It will be a symbol for mobile gaming development until it reaches game console level. On another Note (; this looks like a good app and might take away from my time spent on They need to be fed!